Delgado is undoubtedly one of my most favorite players to ever don the “Orange & Blue”. Even before he made his way to Queens, I had a huge baseball bro-crush on the left handed powerhouse. Him being voted off of the Hall of Fame ballot after his first year of eligibility is a complete joke & is just one example of how the BBWAA & Cooperstown needs a new system, but I digress. Delgado was a part of the Mets organization for 4 seasons after acquiring him from the Marlins before the ’06 campaign for Mike Jacobs, Yusmeiro Petit and infielder Grant Psomas. While healthy, Delgado continued to be the powerhouse he always had been when with the Blue Jays & the Marlins. His first season with the Mets was a historic one, he became the sixth player in MLB history to record ten straight 30 HR seasons. He racked up 339 RBI’s while belting 104 home runs & maintained a .267/ .351/ .506/ .857 in the midst of doing so throughout his stay in Flushing. Not only was Delgado a monster of a 1st baseman, but he was also very quiet & soft spoken. That combination along with his offensive production and clubhouse leadership not only led him to be a favorite amongst his peers, but a huge fan favorite to anyone that bleeds Orange & Blue. Interesting enough, when Delgado made his way through the Blue Jays organization, it was as a catcher. The Jays then decided to move him, however the move wasn’t to 1st base, not just yet. Instead it was to left field in order to keep the Blue Jays fan favorite and World Series hero Joe Carter at 1st base as well as another former Met, John Olerud. In 1993, Joe Carter would find his way in left field and eventually off of the Blue Jays roster, that move made way for a young, up and coming star ready to take Toronto by storm over the course of the next 10 plus years, Carlos Delgado. Throughout his career, Delgado drove in 1512 RBI’s, averaging a buck twenty every 162 games played. The Puerto Rican first baseman has 473 home runs to go along with 438 doubles and 2038 hits, his statistics are genuinely under appreciated, averaging 38 long balls per 162 games. He also sports a .280 / .383/ .546/ .929 career slash line. For a power hitting, home run slugging first baseman, Delgado was a master of crushing the baseball, but also a master of getting on-base with his immaculate on-base percentage. 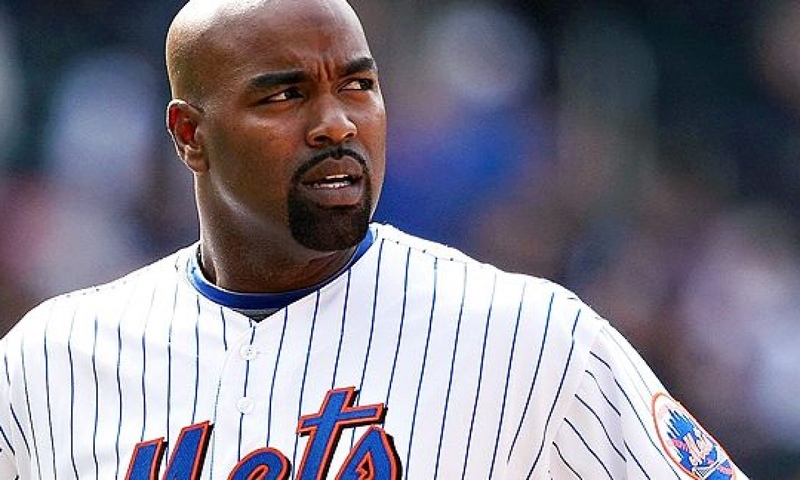 During his tenure with the Mets, Delgado slugged 104 long balls as a mainstay in the clean-up spot, protecting the dangerous, switch hitting Carlos Beltran. He had two separate 38 home run seasons as a Met, falling 6 short of his career high with the Jays in 1999. In 10 playoff games with the Mets, Delgado put up a .351/.442/.757 batting line, with 4 home runs, 11 RBIs, 8 runs scored, 3 doubles, and 6 walks. During his run in Flushing, he & Carlos Beltran helped take the Mets deep into the playoffs in 2005 before falling short to the St. Louis Cardinals in heartbreaking fashion. Looking at Delgado’s stats, it can’t help but remind of Fred McGriff, his career, and him belonging in Cooperstown, New York. Due to lingering injuries towards the latter end of his career, Delgado played his last Major League Baseball game in 2009, as a Met.